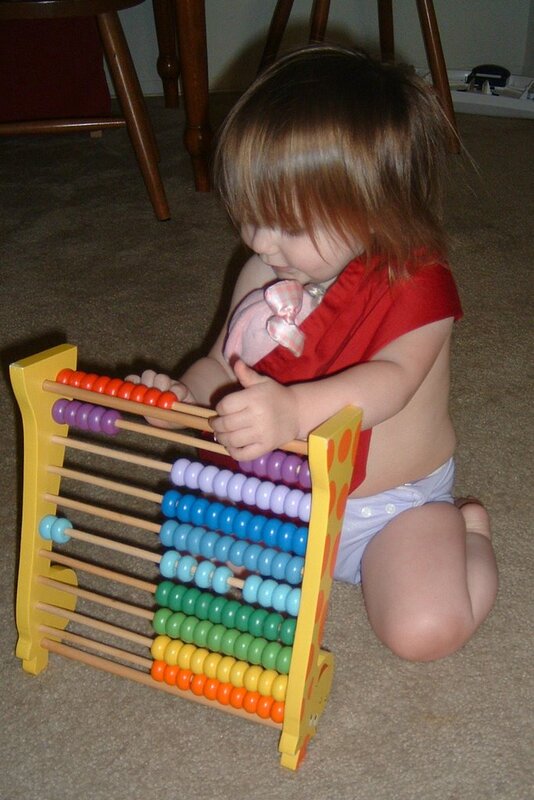 And where did you get that abacus? Kate is using it upside-down ;o) We got it at Toys 'R Us, with gift card money. They don't have a large wooden toys section, but we take what we can get! I think this is their imaginarium brand.